Telecommuting with a VoIP extension. According to GlobalWorkplaceAnalytics.com, telecommuting grew by 3.8% from 2011 to 2012, while the size of the overall non-self-employed workforce actually declined by 1.5%. While there are few statistics for 2013 to 2015, there is a trend towards older salaried non-union employee in management or professional roles to spend more time working from home and telecommuting. More and more businesses are starting to experiment with telecommuting. Whether it’s a set day a week or a flexible schedule, new technologies now allow employees to stay connected even when they’re not physically in the office space. Telework can make a real difference in improving the work-life balance, but it also comes with its own set challenges. Let’s first look at some of the ups and downs of having employees telecommute. Leslie Truex, author of The Work at Home Success Bible, says “Research over the last 20 years suggests that telecommuting improves employee morale and increases productivity,” meaning that it keeps employees happy. It is not just the freedom to manage their daily life and cut back on some of the commuting stress, they also see a considerable savings on the rising costs of a daily commute to and from the office. Achieving and maintaining focus is one of the biggest concerns for companies with telecommuting staff. While working from home, there are many things that can distract a person from getting their work done. Getting family and friends to understand work-time boundaries can be one the telecommuter must learn how to do. Far too often it is those closest to the person working from home that do not understand that they are working and not just taking a day or two off each week. There are plenty of reasons for having employees telecommute, but before making a choice there is homework to be done. You need to go through all the benefits and pitfalls of telecommuting and how they relate to your business. Telecommuting may work for one of your clients or one of your suppliers, but it may not be the right thing for the culture you need to have to grow your business. While telecommuting can produce significant cost-savings in terms of office space, it can also make it difficult to foster a close-knit company culture that you need to keep your particular small business on the road to success. When considering telecommuting for your small business, you also have to consider the type of work that your employees do and what type of work will be expected of them at home. Does the job they are performing require availability during specific hours or any special equipment? Are they in a position where they are required to attend last-minute meetings or face-to-face dealings with customers or vendors? Do they need to have in-person collaboration with other team members that only a co-working or team space can provide? Besides impromptu and emergency meetings or unexpected clients showing up at the office space, technology can really help make telecommuting possible for most employees. Remember, that emergency or impromptu team meeting can easily be done over a Skype call or a Google hangout, without requiring the employee to be in the office. Another important consideration in choosing if telecommuting is right for your business is to ask who are your team and what are its work habits, workstyle and preferences? As a small business owner, you hired these people for their skills and talents, but changing the environment or workplace location might not be conducive with the quality of work you expect. It is also important to look at their demographics (millennials are much more accepting of the telecommuting concept), but you should have a conversation with that person and make sure that it will work with his or her living arrangements and family obligations. So you have done your homework and you have decided to have some of your team work in a virtual office environment. Now what? Now you have to not only put into place the policies, procedures, expectations and schedule into place, but you have to arm your team with the technologies and strategies they will need to be productive when working away from the office. There are experts who can help you develop your policies, procedures, expectations and schedules, but you also need a way to centralize your team while they are working remotely. Enter the experts at office business centres like Telsec Business Centres who have been helping people work out of virtual offices since 1980. Whether your company has office space at a business centre like Telsec or not, most business centres can offer you virtual office solutions that can make connecting or managing your remote team members feel like they are just down the hall from each other. 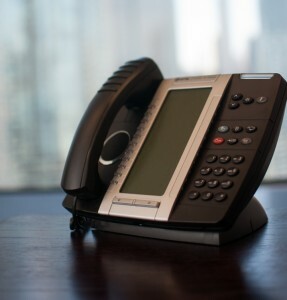 The use of VoIP extensions does not even require an employee to even have a physical telephone at his or her desk – only an internet connection.